Groups decides to distribute the opening match, two semi-finals and final between the four potential hosts, should bid to host football's biggest tournament be successful. 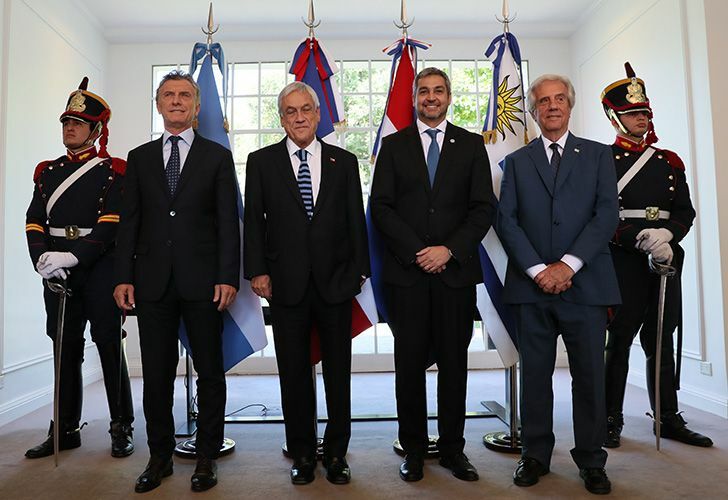 The four national presidents committed to creating a local organising committee with a representative from each country to coordinate with CONMEBOL, South American football's governing body. The first meeting will be in Buenos Aires on April 8. 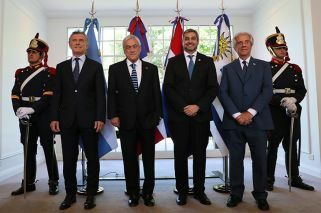 President Mauricio Macri, Sebastian Piñera of Chile, Paraguay's leader Mario Abo Benítez and Uruguay president Tabaré Vázquez met with CONMEBOL chief Alejandro Domínguez on the margins of the UN summit on South-South cooperation in the capital earlier today. "We want to consolidate this idea and start to work on delivering the objective that the World Cup in 2030 is played here in the country and in the continent where it was born," Domínguez told AFP. The first ever World Cup in 1930 was played in Uruguay, with the hosts the Albiceleste 4-2 in the final. The Argentina-Uruguay-Paraguay bid was made official to FIFA's President Gianni Infantino during his visit to Buenos Aires in October 2017, but lost ground because of Argentina's economic troubles. Argentina and Urugua initially planned to bid for the 2030 tournament together before Paraguay was added later, followed by Chile. The host for the 2030 event will be announced at the FIFA Congress in Qatar during the 2022 World Cup. The winning 2026 bid was also a team effort. The tournament will be held in the United States, Canada and Mexico. Even so, Vázquez said this challenge will be "much less difficult than what it meant to assume 100 years ago" the responsibility of organising the very first such event.